Wow, the best representation of 18th-century war in Persian. 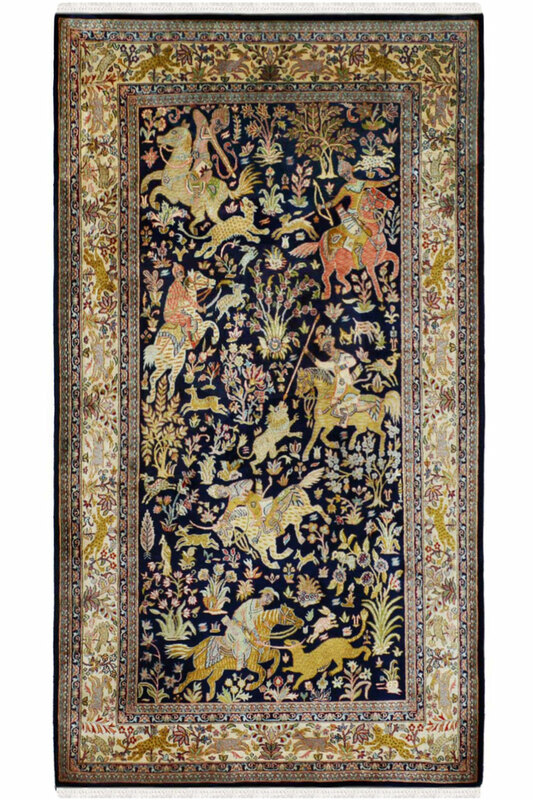 This is a “One of a kind” handmade silk carpet. 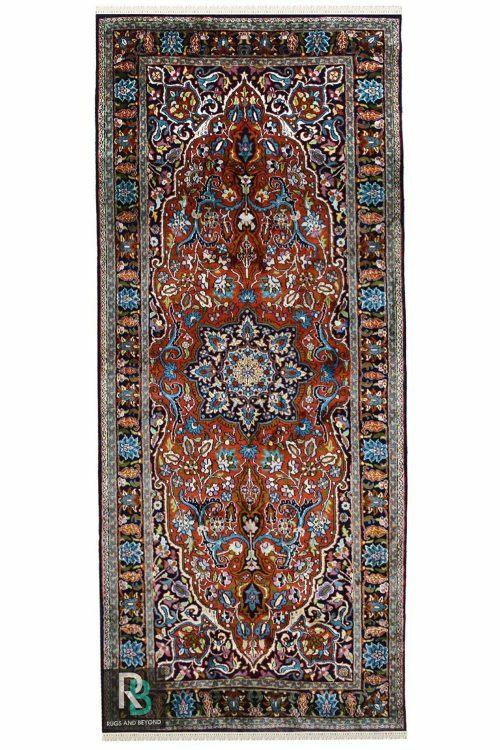 This is handmade pure silk and silk carpet. It means the warp and weft both are pure silk. This is suitable for living room. You can also use it as hanging wall to wall carpet. 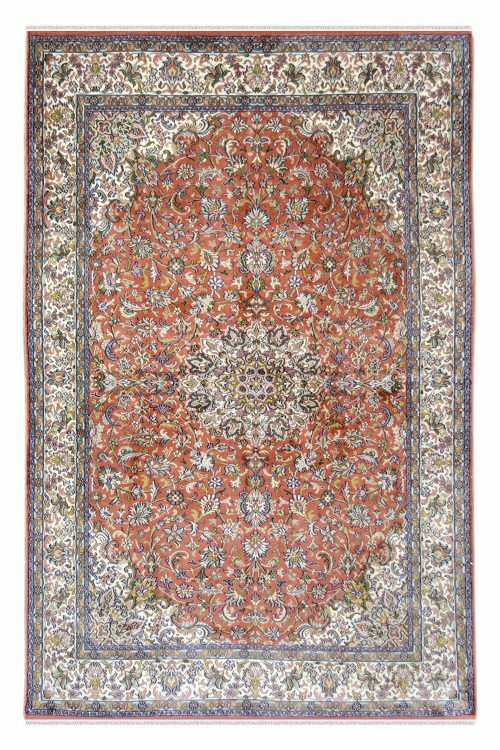 This is one of the peaceful handmade carpets. The Hunting Royal Emperor is one of our limited edition collection. 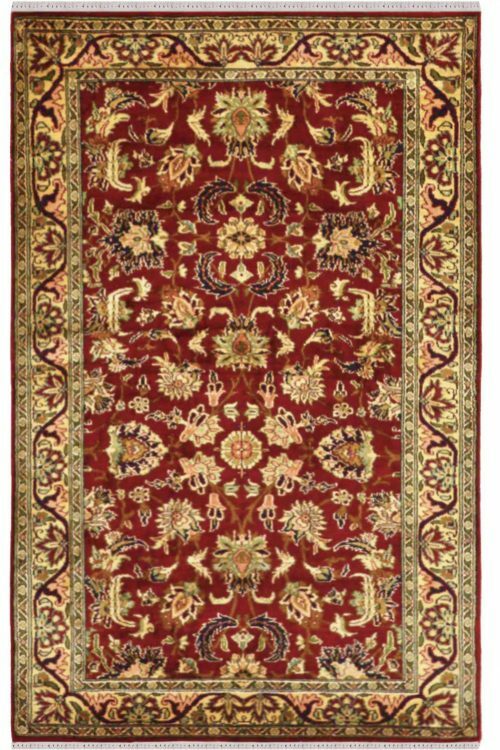 The design of this carpet represents that how to the king’s fights and killed peoples in ancient time. The border in a floral pattern. No of knots in this carpet are 324 per square inch. The main colors are black. It takes 7 months for the weave. The main colors are gold and blue. 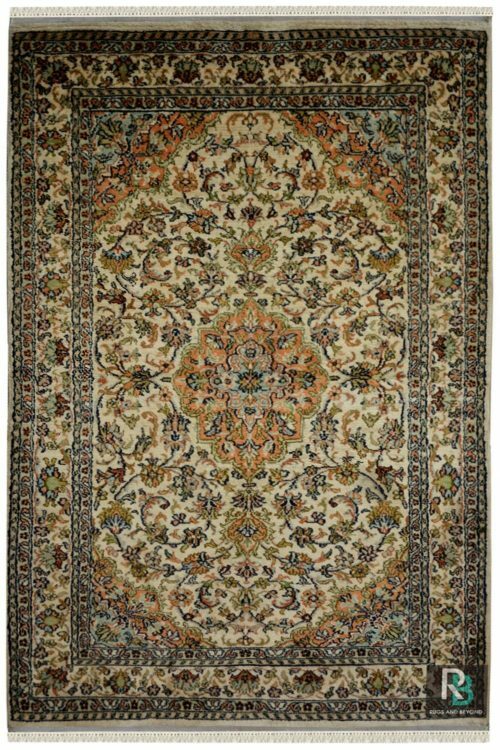 The ground is in dark blue color with 18th-century war theme and border in gold color with a beautiful floral motif. I love hunting designs in carpet, especially when it contains any historical story. A Beautiful representation of king’s fight.